These 12 oz. paper coffee cups are the perfect way to serve coffee or tea at your next event. 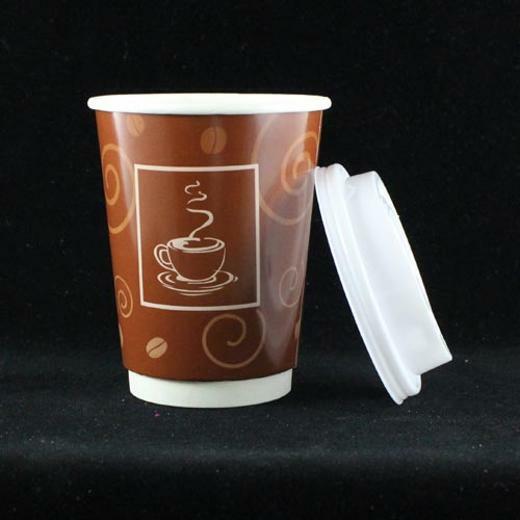 Made of heavy duty paper, these coffee cups feature a stylish, coffee mug imprint on a rich brown background. Great for corporate meetings, luncheons, and much more! L: 3.25 in. W: 3.25 in. H: 8.5 in.